Have you wrote a Halloween poem? If so, please share your link in the comments below where you have shared it. That way I can read it. Need to come up with a cute and quick Halloween poem. I found the generator that can do the job. 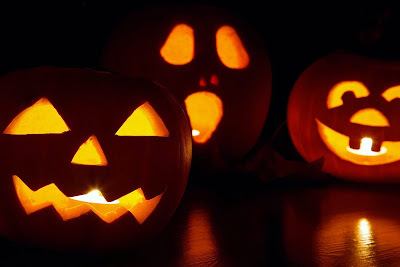 I have challenged myself to write every day something that is related to Halloween. As Halloween is one of my favorite holidays, next to Christmas. I created a post called "October 2016 Writing Challenges", it is where I am getting my ideas to write the entire month. If you are interested in buying pumpkins to decorate your home. Or want to read a book about "Too many Pumpkins". Here are a few selections that may catch your eye.